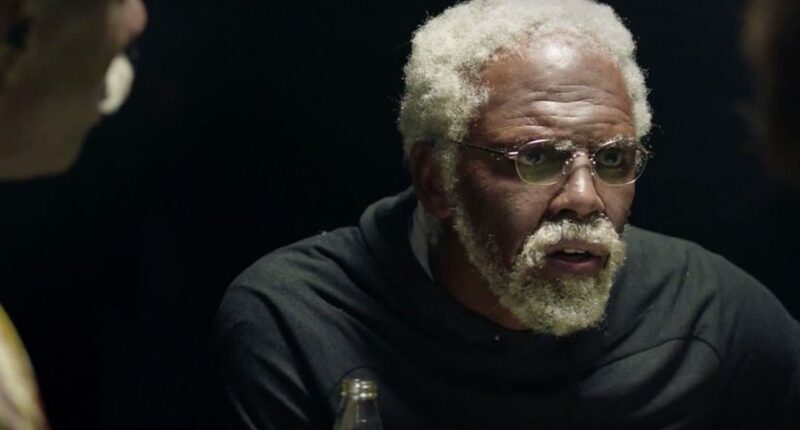 Yes, they really are making a movie based on those Uncle Drew commercials. Remember Kyrie Irving’s Pepsi commercial where he pretended to be an old guy who then went on to school some young whipper-snappers on the basketball court? Apparently, enough people enjoyed it enough that they’re actually making a movie about it. Furthermore, the cast is going to be really good. Somehow. The Hollywood Reporter notes that Shaquille O’Neal and Get Out star Lil Rel Howery are currently in negotiations to join the cast of the Lionsgate film Uncle Drew. The plot will revolve around a group of geriatric basketball players who compete at the famous Rucker Park tournament. Irving will obviously reprise his role as Uncle Drew. It’s unclear what role O’Neal would play, though it would make sense for him to be one of Drew’s elderly baller teammates. Howery will reportedly play a young basketball player who seeks out Uncle Drew’s help. As for the rest of the senior squad, the cast is still to be determined, but “star power on this project could be very high” and several NBA talents are said to be circling roles. Notable basketball personalities who took part in the commercials include Bill Russell, Kevin Love, Nate Robinson, and Ray Allen. Of course, Irving also happens to be teammates with arguably the best basketball player in the world, LeBron James, and it wouldn’t seem too surprising to see him involved as well. Drumline director Charles Stone is set to direct the film, and Lionsgate has acquired distribution rights. When the project originally broke, Lou Arbetter — general manager of Pepsi’s Creators League Studios — said, “Pepsi and Kyrie Irving are looking forward to expanding the Uncle Drew universe.” So keep in mind that whoever eventually does sign on to don the old-age makeup for this film might be signing on for many more films to come.